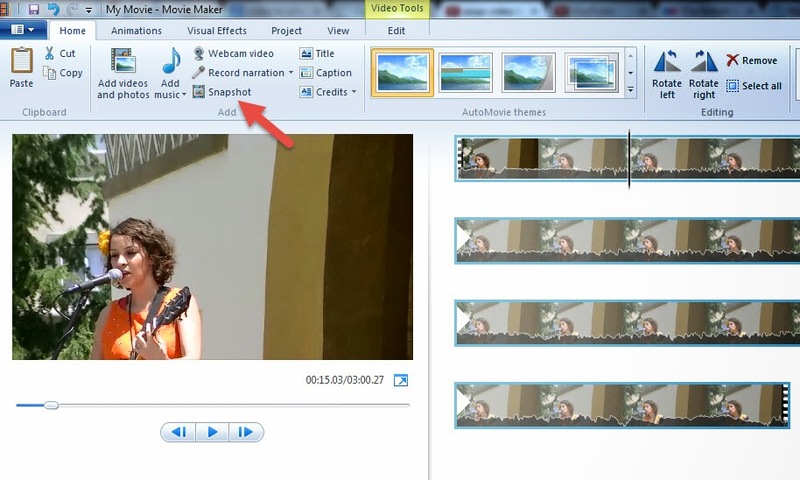 There are times when you might need to convert a small section of your video to photos. There are a lot of good reasons for this; you might want to make a montage or a gif animation. You don’t necessarily have to buy an app or software to do this; you might have what you need already installed on your computer. I was just about ready to purchase software to convert photos to video when a wee small voice in the back of my head said, "Hey, don't you have software that can do that?" Besides some of those video to photo software sites look real dodgy. I don’t want malware, spyware or a whole bunch of yuck installed on my system. That small voice also reminded me that I'm on fiscal lock down for the next couple of weeks. 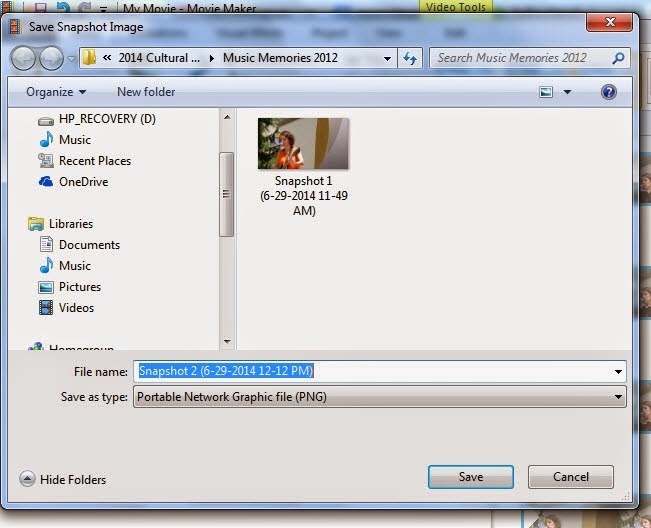 When I thought about it, I have a number of software programs that can grab a photo from a video so I'm going to share how to do that. 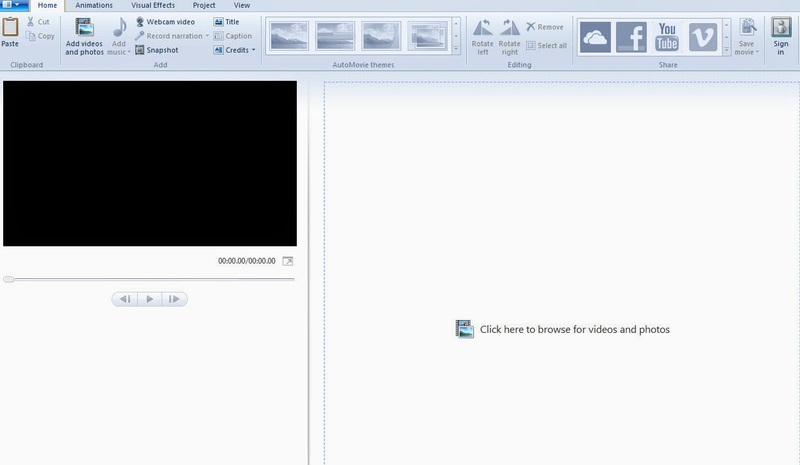 Windows Movie Maker and all prior incarnations. I'm using the current Windows 7 64-bit version but you can even do this on the XP version of the program. Click the area in the video you want a copy of the image. You are looking for a black vertical line that will match the image in the Preview screen. The photo is going to be the same size as the video. Meaning, if you recorded at 1280x720 your image is going to be the same size. Yes, it is that simple. Click the button to open the place where the photo will be saved. You can accept the system generated name but I would suggest changing it into something you will remember. For those of you on an older version of the program there is a camera icon on the Preview screen. It works the same way. In my version of Windows Movie Maker the photo will be saved in the PNG format. Not a bad thing unless the program you plan to use the photo doesn't accept PNG images. Now days that is rare. Not to worry; if it doesn't you can always go an image editing site like Autodesk's Pixlr to convert the image. And that is it. No muss. No fuss. And you can save yourself $20 and potential harm to your system. Now, this is ok if you have at best five to ten photos to extract. If you want to extract 100 at a time then this isn't the way to go. Yes. 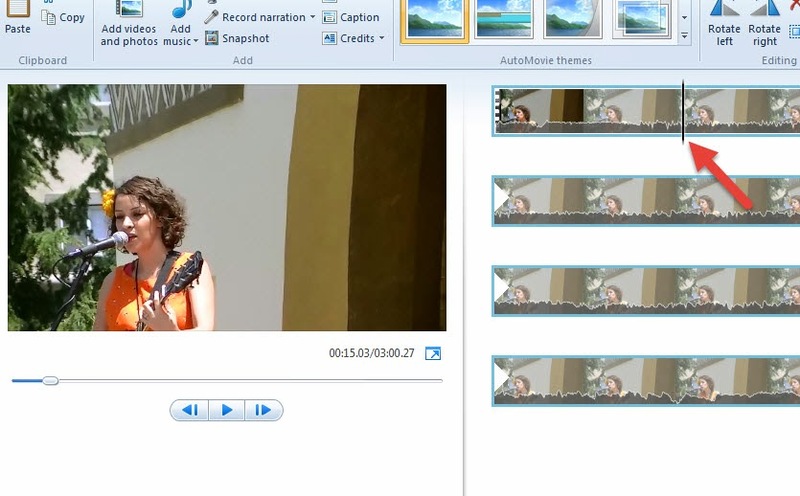 The modern version of Windows Movie Maker plays a lot nicer with a video files formats. It will accept most but not all variations of MP4 videos. It doesn't like videos that are associated with the Quicktime format. The quality of your photos is going to be as good as the quality of your video. If you are thinking about making prints from the images it might be okay or it not quite up to snuff for anything larger that a 4x6 photo. Then again, something could be better than nothing.